Women’ knit trapeze dress with a variety of cold shoulder looks or a sleeveless option. 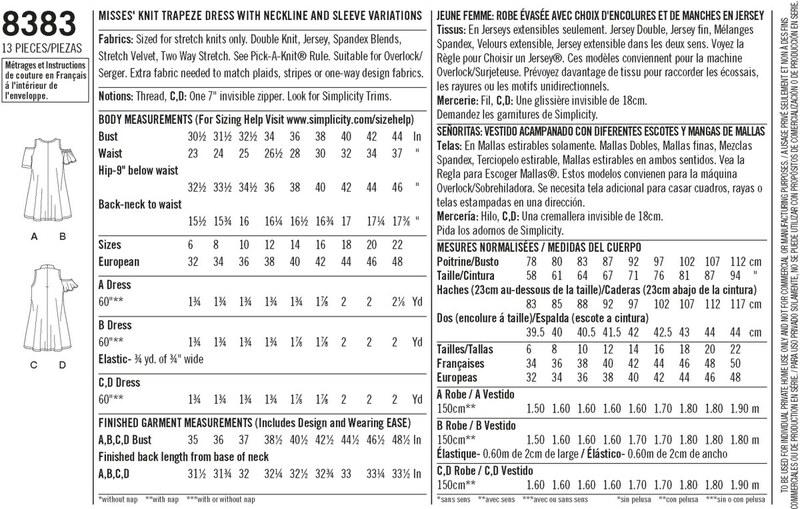 All are sized for stretch knits only. 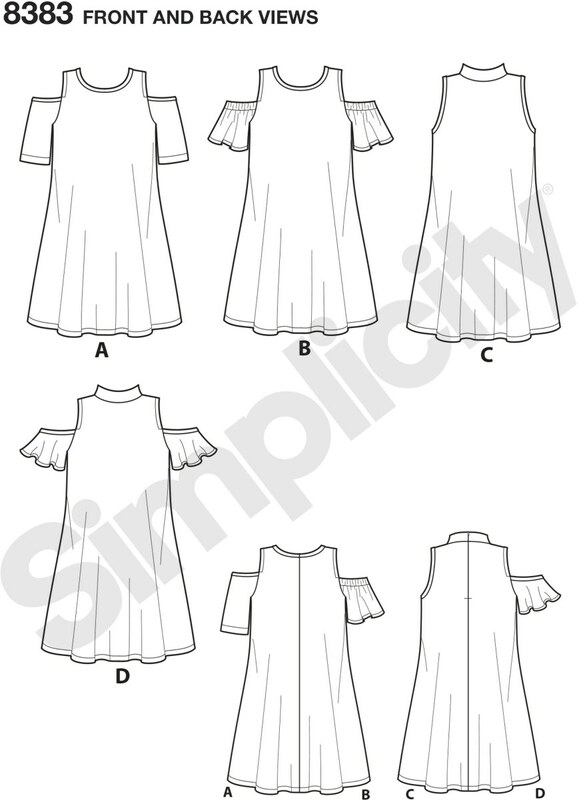 Views A and B have round neckline and are pull over while views C and D have a mock turtleneck with an invisible zipper. Simplici.